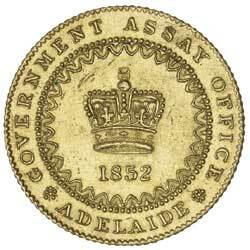 ADELAIDE POUND, second type, 1852, with crenellated inner circle on the reverse. 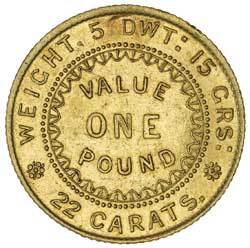 Well struck for this early die state, extremely fine and rare, especially in this condition. Ex J.Cox Collection, from Greg McDonald with his holder.